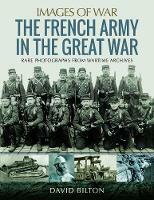 After a miraculous escape from the German military juggernaut in the small Belgian town of Mons in 1914, the first major battle that the British Expeditionary Force would face in the First World War, the British really believed that they were on the side of the angels. Indeed, after 1916, the number of spiritualist societies in the United Kingdom almost doubled, from 158 to 309. As Arthur Conan Doyle explained, 'The deaths occurring in almost every family in the land brought a sudden and concentrated interest in the life after death. People not only asked the question, "If a man die, shall he live again?" but they eagerly sought to know if communication was possible with the dear ones they had lost.' From the Angel of Mons to the popular boom in spiritualism as the horrors of industrialised warfare reaped their terrible harvest, the paranormal - and its use in propaganda - was one of the key aspects of the First World War. 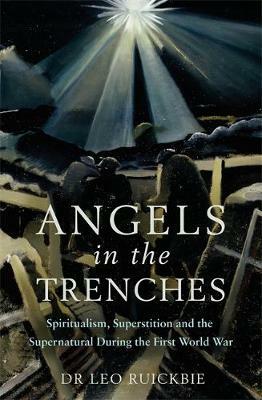 Angels in the Trenches takes us from defining moments, such as the Angel of Mons on the Front Line, to spirit communication on the Home Front, often involving the great and the good of the period, such as aristocrat Dame Edith Lyttelton, founder of the War Refugees Committee, and the physicist Sir Oliver Lodge, Principal of Birmingham University. We see here people at every level of society struggling to come to terms with the ferocity and terror of the war, and their own losses: soldiers looking for miracles on the battlefield; parents searching for lost sons in the seance room. It is a human story of people forced to look beyond the apparent certainties of the everyday - and this book follows them on that journey. Dr LEO RUICKBIE, PhD (Lond), MA, BA (Hons), Associate of King's College, is a professional writer, editor, social scientist and historian, specialising in controversial areas of human belief and experience. His PhD is from King's College, London, for his thesis on contemporary witchcraft and magic use, building on research on the theory of re-enchantment that won him an MA with distinction from Lancaster University. He is the author of several books - Witchcraft Out of the Shadows (2004 and 2011), Faustus: The Life and Times of a Renaissance Magician (2009), A Brief Guide to the Supernatural (2012), A Brief Guide to Ghost Hunting (2013) and The Impossible Zoo (2016) - as well as numerous publications in scholarly journals, magazines, such as Fortean Times, and newspapers, including the Daily Express. He is also the co-editor with Dr Simon Bacon of Little Horrors: Interdisciplinary Perspectives on Anomalous Children and the Construction of Monstrosity (2016), and with Dr Antje Bosselmann-Ruickbie of The Material Culture of Magic (forthcoming). As well as writing, he is the editor of the Paranormal Review, the magazine of the Society for Psychical Research, established in 1882 for the scientific study of what we now call the 'paranormal', and has worked on several editorial projects for the Roemisch-Germanisches Zentralmuseum (Romano-German Central Museum) in Mainz, Germany. In addition, he is an elected member of the Royal Historical Society, a council member of the Society for Psychical Research, a committee member of the Gesellschaft fur Anomalistik (Society for Anomalistics), as well as a member of the Parapsychological Association and the Royal Anthropological Institute. He has appeared several times on the Travel Channel series Mysteries at the Castle and his work has been mentioned in the media from the Guardian to Radio Jamaica. Not only has his expertise been sought by film companies, museums and charities, but he is also cited in the current student book for A-Level Sociology in the UK. He can be found on the web at www.ruickbie.com.